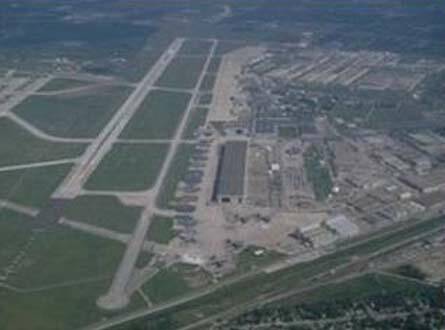 Kelly Air Force Base (KAFB), the oldest military airfield in the United States, is the home of the Air Logistics Center and the Air Force Electronic Security Command in San Antonio, Texas. The building housing the Air Force Electronic Security Command exhibited distress in the concrete flat slab which resulted in concerns regarding its performance and adequacy for its intended use. CA performed a building condition assessment, identified the cause of distress, and replicated the in-place conditions in a finite element model of the building. The results from the structural analysis were further used to locate the problem areas in the building and they were confirmed by comparing the model predicted distress to the observed distress in the structure. CA designed a fiber reinforced composite repair system for the rehabilitation of the concrete structure.